"Like a glorious aria, The Opera Lover's Cookbook opens up your mind, soul and palate to the art of cooking and the beauty of Italian food. Fanciful and luxurious dishes amid interludes of opera and director notes will be enough to make any opera lover sing with delight." "Nothing can improve on my favorite earthly pleasure, eating great food. Nothing short of great music, that is! Big music, bold flavor and loud voices make up the family I come from and Francine's new cookbook brings me home with every page! She has a way of making me want to sing for my supper! Francine feeds her readers well, stomach and soul." 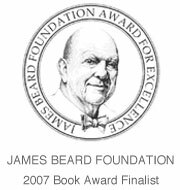 "Francine Segan writes about food with true lyricism and wit. Her superb menus and diverting touches of opera trivia will be welcomed by those who wish to orchestrate memorable meals at home." 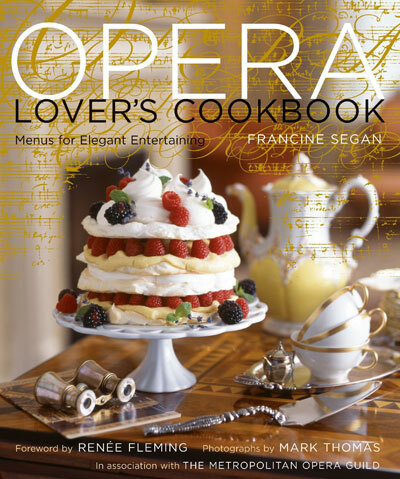 "Francine's book, The Opera Lover's Cookbook, mixes food and opera with an interesting, informative and historical viewpoint." "Being a opera singer and loving to cook I find the recipes and dishes in The Opera Lover's Cookbook like music for the body and soul." 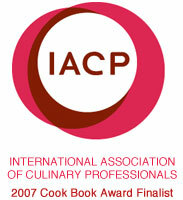 "Francine Segan's culinary imagination is vibrant. Grand opera sends it to astonishing heights." "If Music be the food of love, play on. If Food be the music of the kitchen, cook up an opera! And Francine Segan certainly shows us how in this loving tribute to two of life's great complimentary elements: music and cuisine." "Francine Segan's passion for cuisine linked with passion for the world of opera - this is an inspired ensemble of recipes to savour and to associate with operatic highlights..."
"Francine delves passionately into the world's rich history of music and food and shows us that when combined, they truly delight the senses, nourish the body and warm the heart." "Good food is nourishment for the body and the senses. Good opera is nourishment for the senses and the soul." "Think of a fabulous music-encrusted train, where every car is a dining car. How can one resist getting on board?"